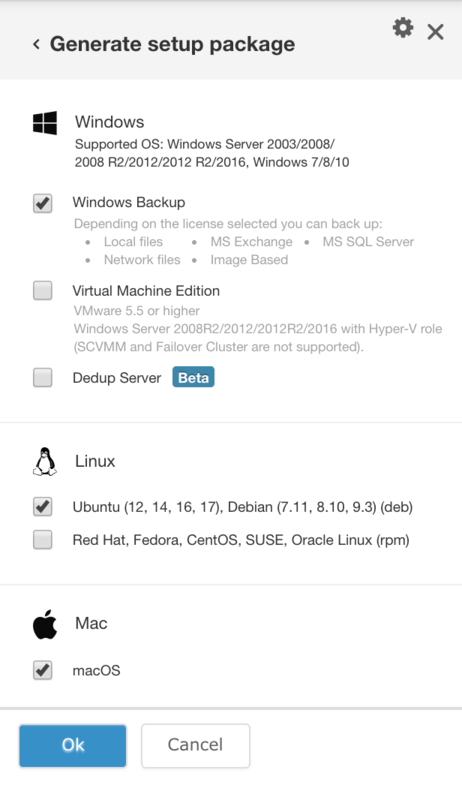 CloudBerry Unlimited Backups is available for Windows, macOS and Linux. 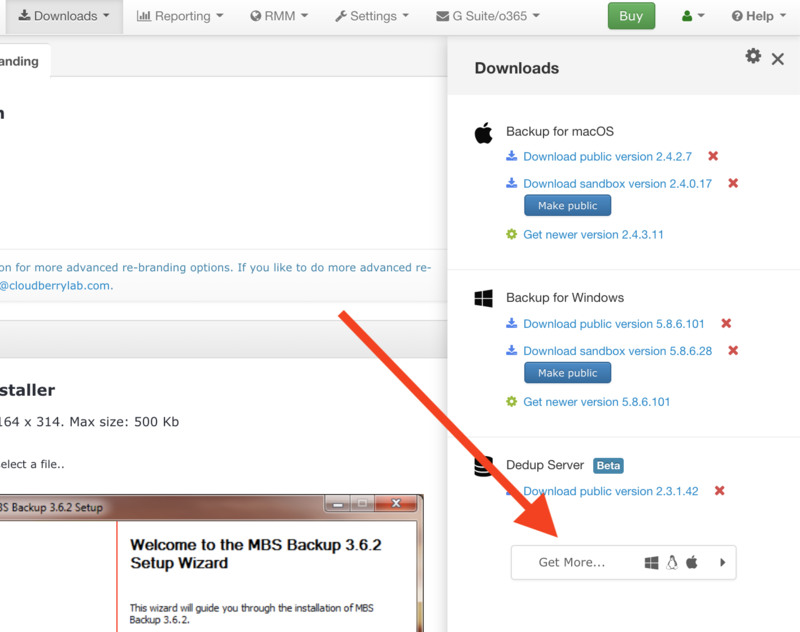 Installers can be downloaded in the MSP Backups Web Console ( https://mspbackups.com ) , under Downloads. Click Get More if you don't have any assembled builds. Select the required installers depending on the platforms you use and click OK. The builds will start assembling and in a few minutes they should be ready for download. By default, builds are not available to your users, they're available only to you in a so-called sandbox. If the builds can be published and available for end users, click Make public. Initially, all builds have to be installed manually on users' computer. 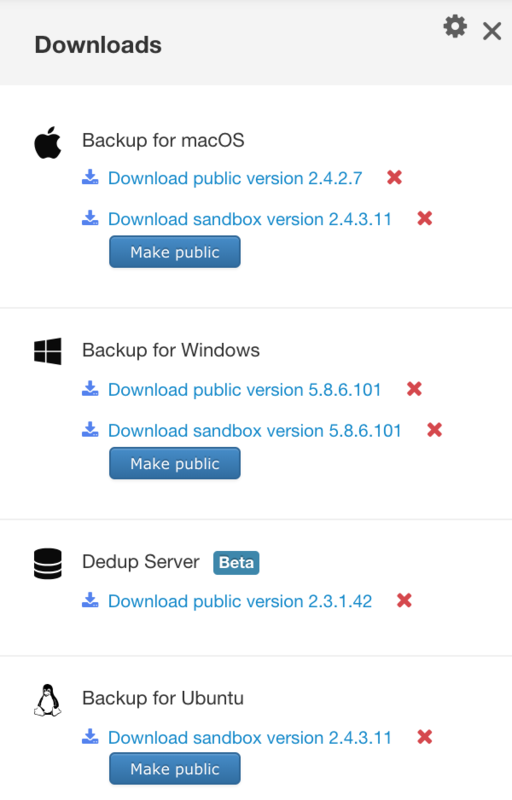 Later, if you enable auto-update, the MSP Backups clients will be updated automatically. Once you've downloaded the required installers, launch them and proceed with the installation. 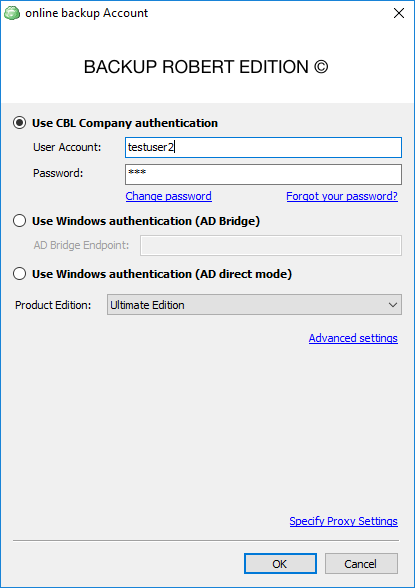 When done, you will be prompted to enter the user account credentials (email and password). Needless to say, you have to first create users in the MSP Backups Web Console.